In 2007, airlines world-wide mishandled 47 million bags, or 19 per 1,000 passengers. 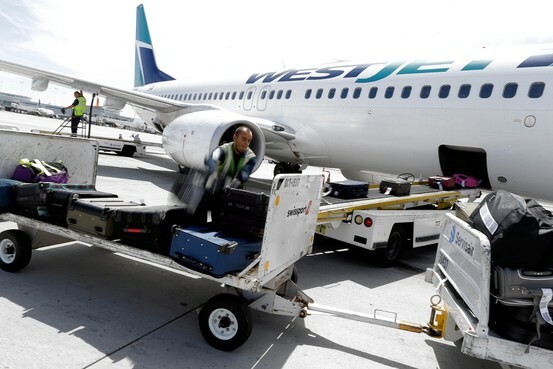 Lost baggage was costing the airline industry $4 billion a year. Returning delayed or lost luggage to passengers cost an average of $100 per bag, and there had been a steady increase in the frequency of mishandled baggage. But airlines last year mishandled only 22 million bags, or 7 per 1,000 passengers, reports The Wall Street Journal (June 5, 2014). Why the dramatic change? One big factor was that airlines realized when they started charging fees for baggage, customer expectations would rise. Airlines typically spent as little as possible on baggage handling before fees because it didn’t drive revenue. Now baggage was bringing in money and new equipment was easier to justify. Bag fees also reduced the volume of checked baggage, as passengers carried more on board. Airports got more involved and some invested in new innovations to move bags faster from the curb to the airplane belly. TSA sped up the process by moving baggage screening from terminal lobbies to machines built into conveyor-belt systems that can check bags faster. Airlines also focused attention on the problem by sending teams of baggage experts to 80 airports world-wide and evaluating root causes of lost bags. One of the biggest issues they found: Airlines did a poor job communicating with each other and their own employees about bags. Baggage handlers often didn’t know when a bag was coming from another carrier or when a quick transfer had to be made. Another simple fix: Keeping tag printers clean and well-maintained so bar codes print crisply for machine-reading. Airlines say the effort coincided with availability of cheaper technology for scanning bag tags and tracking bags. Key infrastructure such as airport Wi-Fi that could be used by hand-held scanners and computers mounted in baggage vehicles also made a difference. Finally, with more data available, airlines can tell baggage handlers when to shuttle connecting bags from plane to plane directly, and when there’s enough time to put bags into the airport’s sorting system so they can go out to their next flight with other luggage.